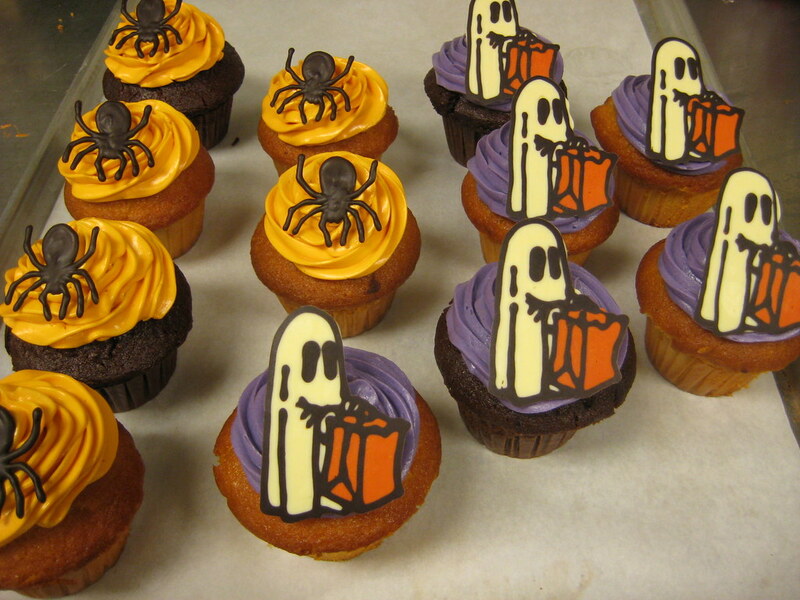 Halloween spider and trick-or-treating ghost cupcakes! Fun Halloween cupcakes by The Measuring Cup of Greenpoint, Brooklyn, via Flickr. Find out more at www.themeasuringcupco.com or on their Facebook page. They can be reached at info at themeasuringcupco.com or 646-415-4995.